The global cinnamon market value fluctuated perceptibly from 2007 to 2016. According to a recent IndexBox report, a significant increase in 2008 (121% year-on-year) was followed by a slight drop in 2009 (96% year-on-year). The market gradually increased over the next two years until it plunged again in 2012-2013. Between 2014 and 2016, the cinnamon market increased steadily until it reached $532m in 2016. From 2007 to 2016, global cinnamon consumption in physical terms experienced a steady growth, rising from 174 thousand tonnes in 2007 to 227 thousand tonnes in 2016. It expanded with a CAGR of +3.0% over the period under review. 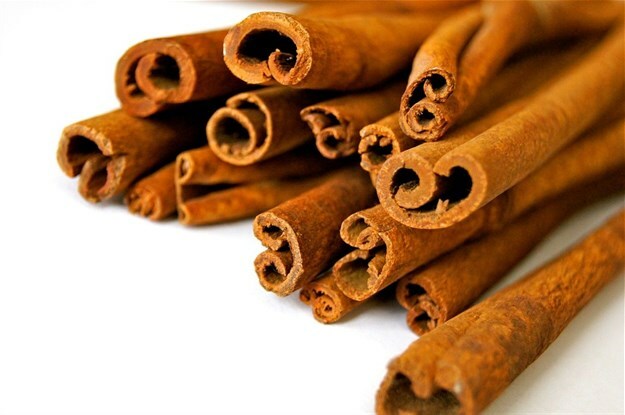 Driven by the growth of population, the popularity of spices, and the growth of the pharmaceutical and cosmetic industry, the cinnamon sector is expected to continue an upward consumption trend, expanding with an anticipated CAGR of +2.0%, which will lead the market volume to 267 million tonnes. Indonesia (44 thousand tonnes), China (37 thousand tonnes), the US (26 thousand tonnes) and India (25 thousand tonnes) were the countries with the highest consumption, together accounting for almost 57% of global figures. In terms of the key consumer countries in 2016, Indonesia (170 gr per year) and the US (80 gr per year) registered a per capita consumption figure higher than the global average of 31 kg per 1,000 persons, while China (26 gr per year) and India (19 gr per year) recorded the lowest. Cinnamon production reached 229 thousand tonnes in 2016, with a positive dynamic being recorded over the last few years, except for a slight decline in 2010. From 2007 to 2016, cinnamon production grew at an annual average rate of growth of +2.1%. Indonesia was the key world cinnamon producing country with an output of about 91.6 thousand tonnes in 2016, which accounted for 40% of total global output. The other major producers were China (34%), Viet Nam (17%), Sri Lanka (8%). In Indonesia, production levels decreased by -1.2% annually from 2007 to 2016. The other major producing countries indicated an increase in cinnamon output in physical terms: Viet Nam (+8.7%), China (+4.0%) and Sri Lanka (+3.4%). Cinnamon is a widely traded commodity, with the share of export in total global output standing at approx. 67% in 2007-2016. The high trade intensity is determined mainly by substantial distances between the main cinnamon producing countries and the key consuming countries. In 2016, the volume of global exports totalled 154.0 thousand tonnes, with a mixed dynamic being recorded over the last few years. A gradual increase over the period from 2013 to 2014 was followed by a slight decline in 2015. In 2016 it remained unchanged. In value terms, global exports showed steady growth over the last few years, at an average annual rate of growth of + 10.6%. In 2016, global cinnamon exports expanded to $484.4m. Indonesia (48.9 thousand tonnes) and China (42.4 thousand tonnes) were the main global suppliers of cinnamon, with a combined share of 60% of global exports. They were followed by Viet Nam (19%) and Sri Lanka (10%). From 2007 to 2016, Viet Nam (+7.6% per year) was the fastest growing supplier amongst the major exporters. The share of Viet Nam (+8 percentage points) and China (+2 percentage points) increased between 2007 and 2016, while the share of Indonesia (-7 percentage points) displayed a negative dynamic. The share of Sri Lanka remained relatively stable throughout the analyzed period. The volume of global imports totalled 151.6 thousand tonnes or $468.8m in 2016. The imports dynamic was generally in line with exports: these trade flows globally complement each other. Following the high trade intensity, the share of imports in global demand accounted for about 67%. In 2016, the US (27.4 thousand tonnes), India (25.7 thousand tonnes, and, lagging somewhat behind, Bangladesh (8.2 thousand tonnes), Mexico (7.7 thousand tonnes), the Netherlands (5.2 thousand tonnes), the United Arab Emirates (4.6 thousand tonnes) and Saudi Arabia (4.4 thousand tonnes) were the leading destinations for cinnamon imports, together making up 55% of global imports in physical terms. In terms of the major importing countries, India (+8.4% per year) and Bangladesh (+8.0% per year) indicated the highest annual rates of growth from 2007 to 2016. While the shares of India (+6 percentage points) and Bangladesh (+2 percentage points) increased from 2007 to 2016, the share of the United Arab Emirates (-5 percentage points) illustrated a negative dynamic. The shares of the other countries remained relatively stable throughout the analysed period.